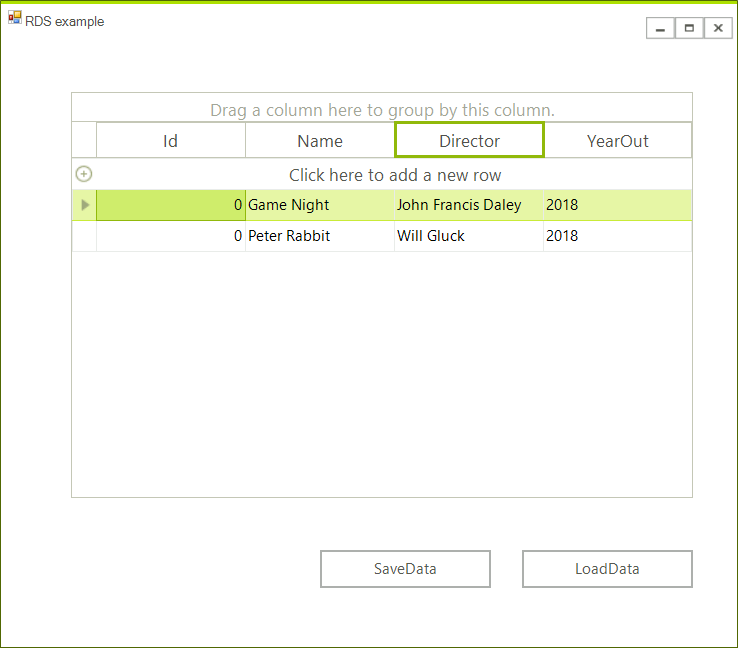 This article will show you to create a WinForms application and access data stored in the cloud. It shows how you can connect to the AWS RDS instance from a blank WinForms project as well. Go to the AWS console and click the RDS link and then click the Get Started Now. This will lead you to the Select Engine page. 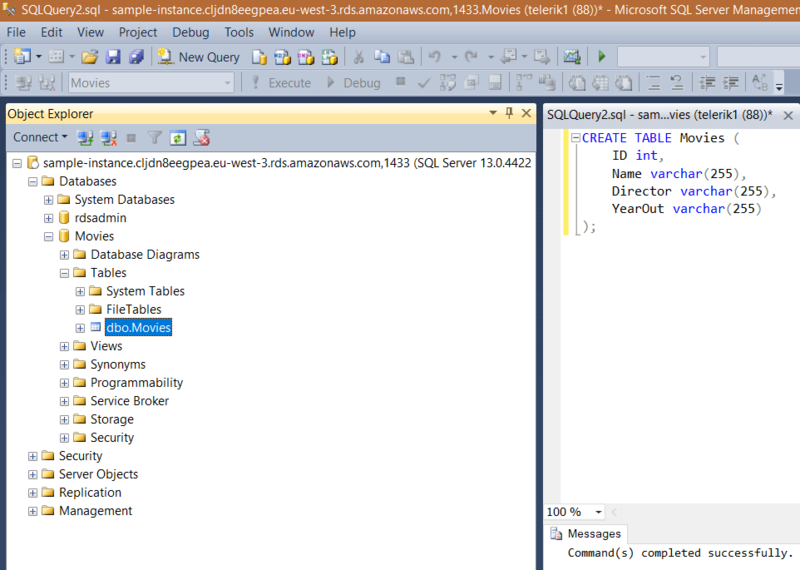 Select SQL server Express Edition and click Next. On the next screen choose any options you want. For this example we are using the free tier options. Make sure that Publicly Accessible option is set to Yes. At the bottom of the page choose database name and specify the user name an password. Click next and choose any options. 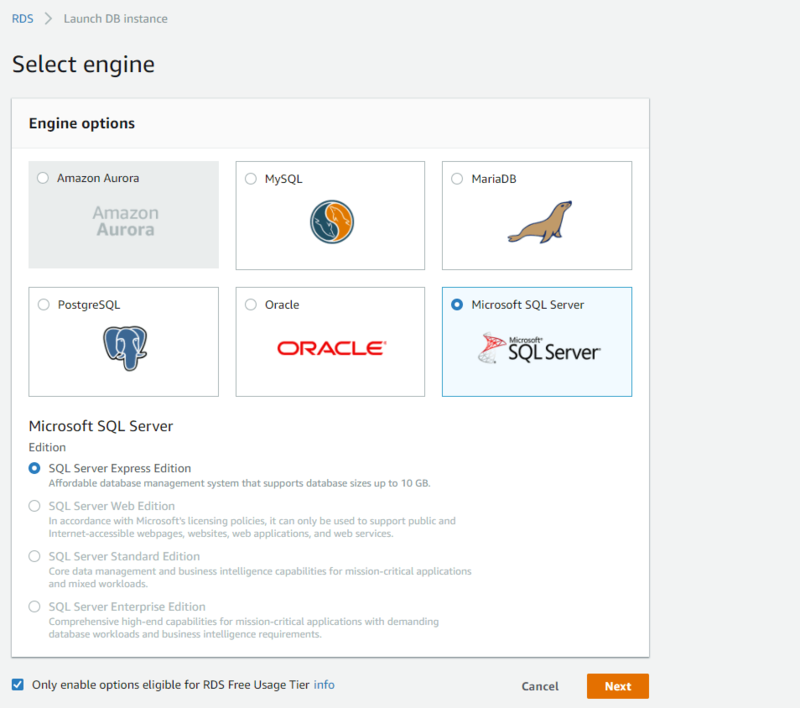 Then click Launch DB Instance and wait until the database is created. More information can be found here. 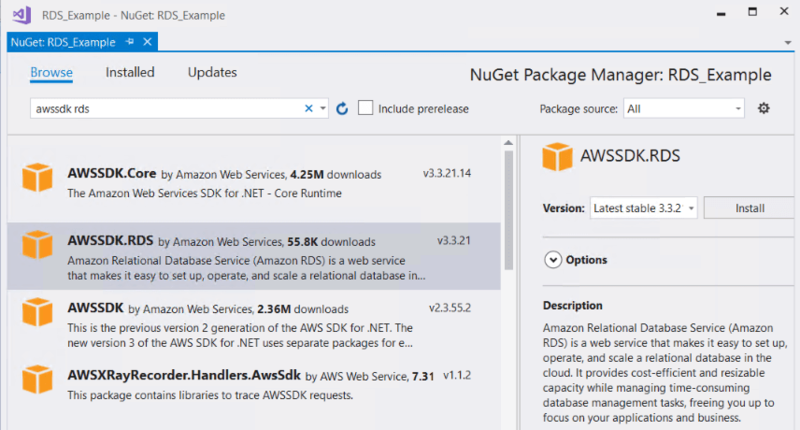 At this point you are ready to connect to the instance using Microsoft SQL Server Management Studio. Detailed information is available here. 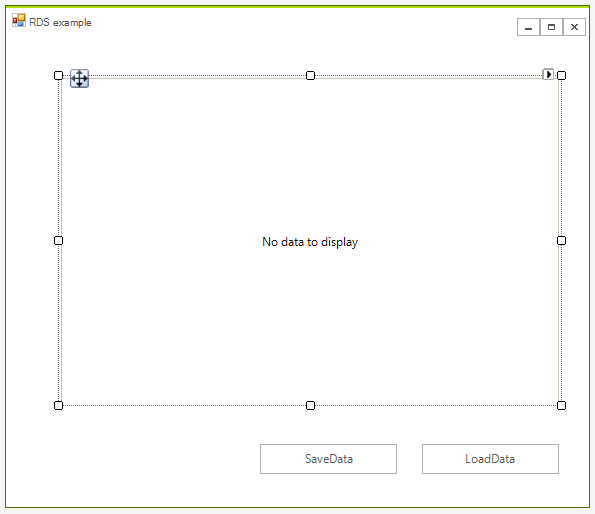 Step 2: Create a WinForms project. Dim dbname As String = "Movies"
Dim password As String = "pass"
Dim hostname As String = "sample-instance. 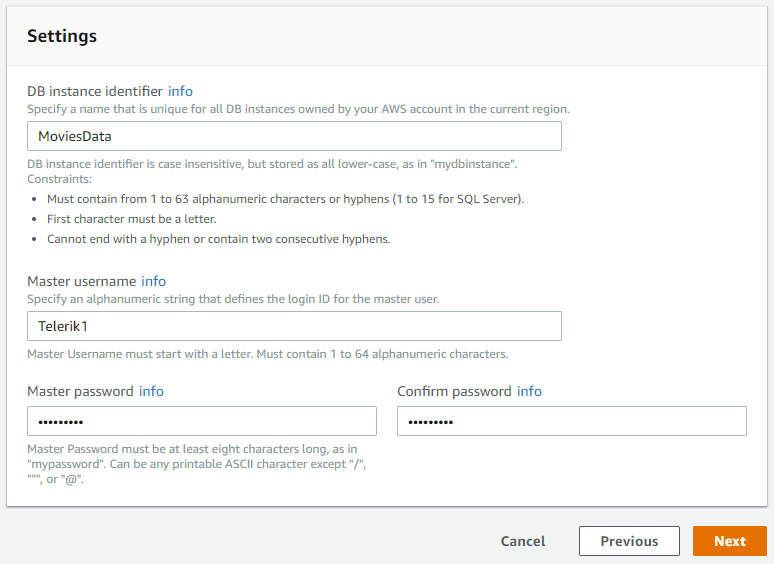 ************rds.amazonaws.com"
Dim port As String = "1433"
Return "Data Source=" & hostname & ";Initial Catalog=" & dbname & ";User ID=" & username & ";Password=" & password & ";"
Once this is done you can bind the grid.